Three first solos in one day? That’s unheard of at a flying school where one a day is cause for celebration. 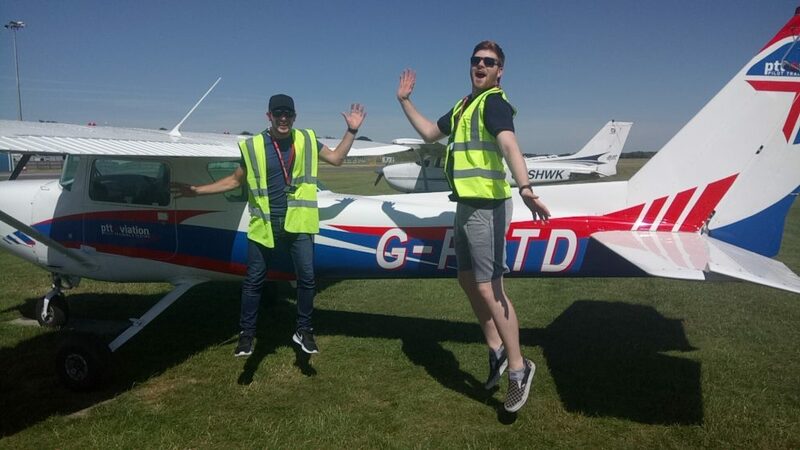 But a trio of solos is what happened at Cambridge Aero Club on 26 June for Jack James, Giorgio Manganiello and Sarah Glover. 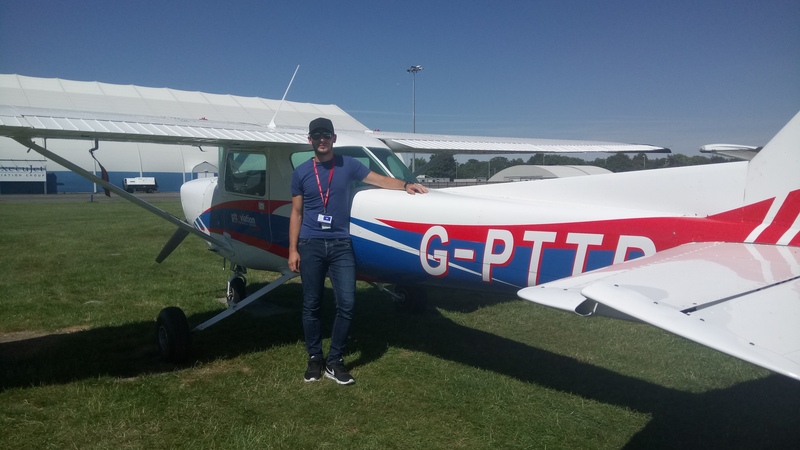 Just to add to the catalogue of success, another student pilot, Simon Adamson, completed his qualifying cross-country flight for the issue of his Private Pilots Licence on the same day. Simon had a very enjoyable flight from Cambridge to Peterborough Conington Airfield, via the North Norfolk coast, and then to Northampton’s Sywell Aerodrome before returning to Cambridge. Above: Giorgio Manganiello flew solo in a C152 the club is evaluating. Top: 16-year-old Jack James jumps for joy after his first solo. 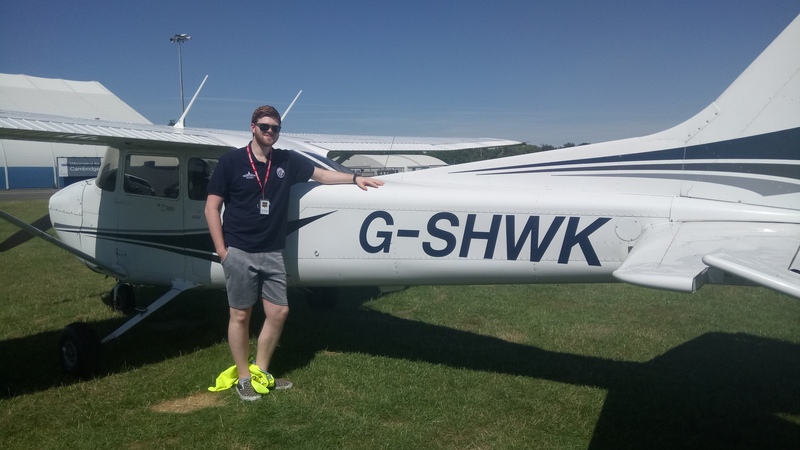 As well as the three first solos, fellow student Simon Adamson completed his cross-country flight, the final task for his PPL. The third solo was by Sarah Glover, who works at the club in reception. Well done all! Cambridge Aero Club celebrates its 90th anniversary next year. 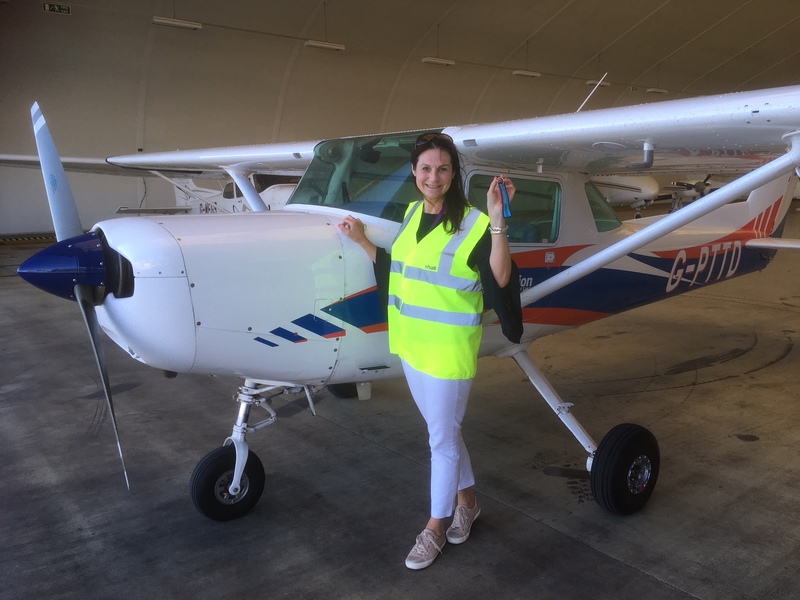 Managing director Terry Holloway said, “We are thrilled by the progress of all of our students at the Cambridge Aero Club and it was wonderful to congratulate three of our student pilots for their amazing first solo flight on the same day.